If you want to be the very best, like no one ever was, you need to know how to get the best possible Pokémon on your team. For this you need to have knowledge about IVs and EVs, which are explained below. At the end of the chapter is a step by step guide on how to get the perfect Pokémon. Individual values, abbreviated IVs, are the Pokémon equivalent of genes. They are instrumental in determining the stats of a Pokémon, being responsible for the large variation in stats among untrained Pokémon of the same species. Each of the six battle stats – HP, Attack, Defense, Special Attack, Special Defense and Speed – has an IV associated with it, ranging from 0-31. Each IV comes into calculation alongside the Pokémon's base stats and EVs to determine the actual stat number. A Pokémon's IVs are determined when it is generated by the game: when it is encountered in the wild, obtained as an Egg from the Pokémon Nursery, or given to the player by an NPC. The calculated type of the move Hidden Power is based on the IVs of the Pokémon. Hidden Power can be of any type aside from Normal and Fairy. Its type is set and cannot be altered, even if IVs are raised through Hyper Training (see below). You can check which type your Pokémon's Hidden Power is or would be by talking to the female Breeder on the left inside the Pokémon Nursery. At the Battle Tree, there is an NPC that will unlock an IV judging feature in all PCs, but only after you have hatched at least 21 Eggs. When you've unlocked the feature, use a PC and select 'Judge' in the bottom right corner to see a Pokémon's IVs. When a stat is judged as 'Best' it means it has the highest possible value of 31 IVs. Each Pokémon has a characteristic, a small blurb displayed on the second page of the Pokémon’s summary. This characteristic indicates which of the Pokémon's IVs is the highest in a roundabout way. For example, “Loves to eat” means that a Pokémon’s HP has the highest IV. The following tables show which characteristic indicates which stat has the highest IV and which values this can be. Alternatively, if you want to calculate the potential range of your Pokémon's IVs, you can do so by inputting your Pokémon's stats in our custom IV Calculator Tool. Another way to get a Pokémon with perfect IVs is to breed one. The best way to do this is to find two parents who both have perfect IVs in different stats. Give one of the parents a Destiny Knot (can be bought for 48 BP at the Battle Royal Dome), so five of the parents' combined twelve IVs will be passed down to the child. As soon as a hatched Pokémon has more perfect IVs than one of the parents, replace that parent with the new Pokémon. Keep doing this until a hatched Pokémon has the IVs you desire. Hyper Training is a method of Pokémon training that allows you to maximize one or more of a Pokémon's IVs through intensive training. Hyper Training is conducted by a man known as Mr. Hyper, who can be found in the Hau'oli City shopping mall after you have defeated the Pokémon League. In exchange for a Bottle Cap, he will train one of your Pokémon, so long as it has reached level 100. A regular silver Bottle Cap can increase one of a Pokémon's IVs to 31 (the maximum value), while a Gold Bottle Cap will increase all of a Pokémon's IVs to 31. Silver Bottle Caps can be found while fishing, and from the lottery stall 'Treasure Hunt' and the haunted houses at Festival Plaza, or can be traded for shards with a man in the Festival Plaza castle. Gold Bottle Caps can be found at the Festival Plaza lottery stall 'Treasure Hunt', from the Rare-Treasure Hunt in Poké Pelago, and sometimes via events. Rather than actually changing a Pokémon's IVs, Hyper Training sets a modifier for the game to treat that stat as if it had an IV of 31. As a result, it does not affect the type of Hidden Power the Pokémon has and the IVs it can pass down when breeding are those it had when it was generated. Effort values, abbreviated EVs, are attributes which give bonuses to an individual Pokémon's stats and improve differently depending on which Pokémon they defeat. Effort values, in the form of effort points, are gained in addition to bonuses gained by increasing level. Effort values ensure that trained Pokémon are stronger than wild Pokémon, even those of the same level. Effort points are awarded equally to all Pokémon who participated in defeating a Pokémon. Though they are shared, each of the Pokémon will receive the standard amount of effort points. Defeated Pokémon give out 1, 2 or 3 effort points to a particular stat, depending on species. However, in battles that do not give any experience (such as in the Battle Tree or if the Pokémon is level 100), Pokémon will not gain any effort points. Pokémon are limited to a total of 252 effort points per stat, and 510 effort points in total. At level 100, a Pokémon's stats will be one stat point higher in a specific stat for every four effort points gained in that stat. The amount of EVs a Pokémon has can be checked by going to a Pokémon’s summary and pressing Ⓨ. As explained above, a Pokémon can have 252 EVs in each stat, and 510 EVs in total. So you can invest 252 EVs into two stats and put the remaining 6 in a third stat. It is not necessary to max out two stats with 252 EVs. You can also choose to put 248 EVs in one stat, 124 in another, and 136 in a third. However, remember that every 4 EVs obtained for a specific state, is equal to one extra point in that stat, by the time the Pokémon reaches level 100. So always make sure the amount of EVs you obtain can be divided by 4, or else you are wasting points. Normally, to get 252 EVs in a stat, you would have to defeat 252 Pokémon which give 1 EV for that stat. Luckily, there are faster ways to do this. For example, if a Pokémon defeats a Caterpie, it will gain 1 EV in HP. But if a Pokémon holds a Power Weight, it will gain 9 EVs total in HP for defeating one Caterpie. Pokérus (from Pokémon Virus) is a microscopic life-form that may attach to Pokémon. When a Pokémon has Pokérus, the amount of EVs it gains is doubled. So a Caterpie that normally gives 1 EV in HP, will now give 2 EVs in HP. And if the Pokémon you’re training is also holding a Power Weight, one Caterpie will give 18 EVs (1 + 8 from the Power Weight and x2 from the Pokérus). Pokérus is very rare, it has a 1 in 21,845 chance of being generated on a Pokémon. However, a Pokémon infected by Pokérus is able to spread it. Simply put it in your party, defeat a wild Pokémon, and there is a chance the rest of your party is infected with it. It might take a few battles before the whole party is infected. The best way to get a Pokémon with Pokérus is to trade one from someone who already has it. Other players often trade Pokémon with Pokérus via Wonder Trade too. These vitamins only add EVs until the Pokémon has 100 EVs in the stat. You will have to use other methods to raise the EVs further. You find these vitamins throughout the game, and you can get more at the Battle Royal Dome for 2 BP a piece. In Pokémon Sun, you can also get sets of 4 at a ★★★ Pharmacy at the Festival Plaza for 60 FC. After you clear the first island trial, wild Pokémon gain the ability to call an additional Pokémon (an ally) to its side in battle. This is called an SOS Battle. When you defeat the ally Pokémon, a new ally can be called and this can go on indefinitely. Defeating multiple allies in a row is called chaining. A Caterpie gives 1 HP EV. 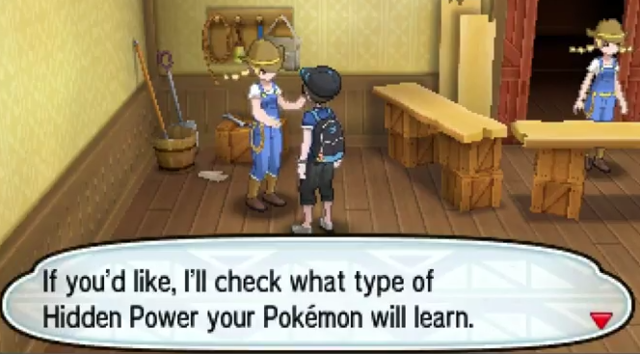 This becomes 9 HP EVs if the training Pokémon is holding a Power Weight (1+8). 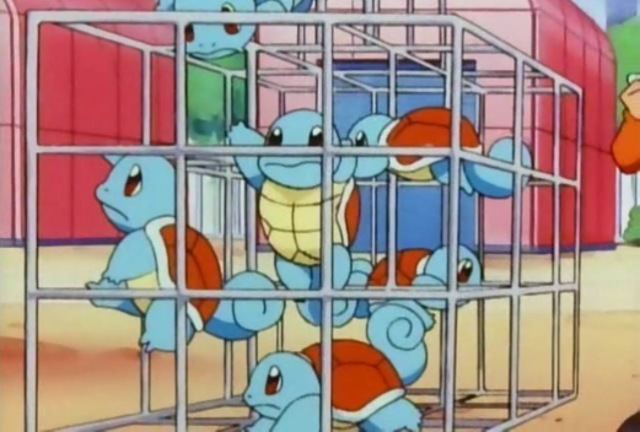 If the Pokémon also has Pokérus, the EVs are doubled to 18. And if the Caterpie is a called ally, the EVs will be again doubled, to 36. Defeating seven called Caterpies would therefore give 252 HP EVs (7x36). If you turn on the Exp. Share, all Pokémon will receive the EVs, so you will be able to EV-train more Pokémon at once. Just make sure the other Pokémon you want to train are also holding the correct Power item and also have Pokérus. Isle Evelop in Poké Pelago lets you raise your Pokémon’s EVs, by giving them (free) EV-raising drinks. When the isle is fully developed (to level 3), you can train 18 Pokémon at a time. These Pokémon are divided over three groups which you can each train in a different stat. A Pokémon will gain 4 EVs per training session, and every session takes 30 minutes. This means that to fully develop a stat to 252 EVs, a Pokémon needs to complete 63 sessions, which will take 31.5 hours. Depositing Poké Beans in the crate on the isle will make the training go twice as fast, as long as the Beans last. By doing this you can complete the 63 sessions in 15.75 hours. Though this method takes a lot longer than EV training through SOS Battle chaining, its advantage is that it can be done while the game is turned off. You can set how many sessions you want your Pokémon to complete, so you can train your Pokémon while you sleep or are at school/work. 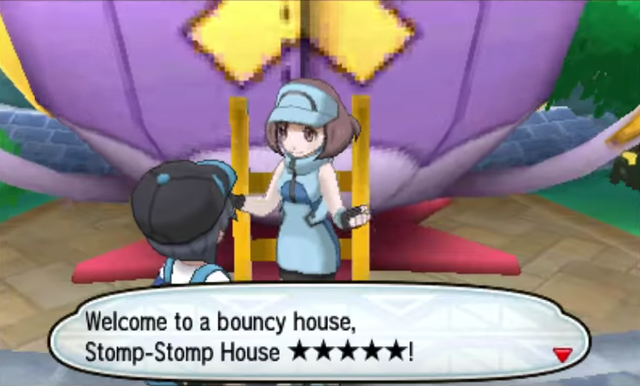 In Festival Plaza facilities named bouncy houses can be found, which raise your Pokémon’s EVs in exchange for FC. The amount of EVs given depend on the rank of the course. The higher the rank of the bouncy house, the higher the rank will be of the courses it offers. The 6★ and 7★ courses only become available after you become Champion. The cons of this method are that you can only use a Bouncy House once a day and that making use of the higher ranked courses costs a lot of FC. Another way to raise EVs in the Festival Plaza is by giving your Pokémon lunches from the Battle Table facility. Each of these lunches only raises the stat by 10 EVs and the stall has a limited availability of meals, so it isn’t the most ideal method, but can still come in handy if you’re still a few EVs short. While training your Pokémon, it can happen that you accidentally trained the wrong stat or trained more EVs in a stat than you wanted. No worries though, as it is possible to lower the amount of EVs in a stat or reset a stat completely to 0 EV’s. One of the methods to do this is by giving your Pokémon EV-lowering drinks from the Friendship Café or the Friendship Parlor at Festival Plaza. The Sweets Sets lower the EVs by a bit, while the Secret Meals reset the stats completely to 0 EVs. The Secret Meals only become available after you become Champion. Note that these meals can’t be eaten by Pokémon which have their Friendship maxed out, as they also raise Friendship. You can find these Berries in Berry Piles throughout the game, and grow more of them on Isle Aplenny in Poké Pelago. Which Pokémon do I want to use? Which Nature should it have? How many perfect IVs should it have and in which stats? Which stats should be EV trained? Which moves should it know? If you’re not sure what your Pokémon should look like, take a look around the internet. There are lots of tips to be found for what is a good ‘build’ for each specific Pokémon. To get the correct Nature, make sure you have a Pokémon with the right Nature and the Ability Synchronize leading your party. This way, any wild Pokémon encountered has a 50% chance of having the same Nature as the Synchronize Pokémon. 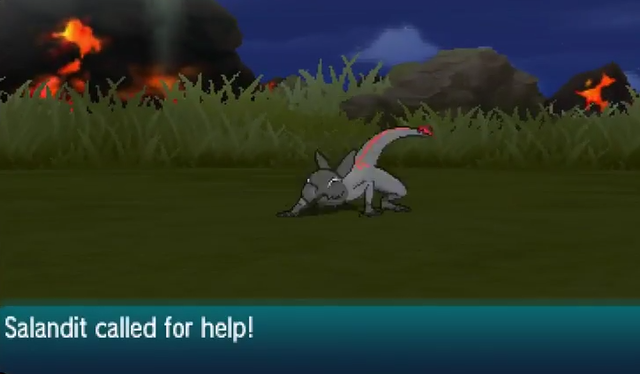 Note that when SOS Battle chaining, Synchronize does not work if the Pokémon with this Ability is fainted. Pokémon with Synchronize that can be found in Sun and Moon: the Abra evolutionary line, Espeon, and Umbreon. To pass the Nature through breeding, make sure the parent with the right Nature is holding an Everstone while in the Nursery. That way their Nature will always be passed to the Egg. A Pokémon with perfect IVs can be found through SOS Battle Chaining and/or be bred in the Pokémon Nursery. See the “Getting Pokémon with perfect IVs” subchapter. Choose one of the methods named in the “EV Training” chapter to raise the EVs in the stats you want to train. You can also use our EV Tool to plan out out the EV distribution of your Pokémon to achieve your desired stats. Look up how your Pokémon learns the moves you want it to have and make sure they learn it. 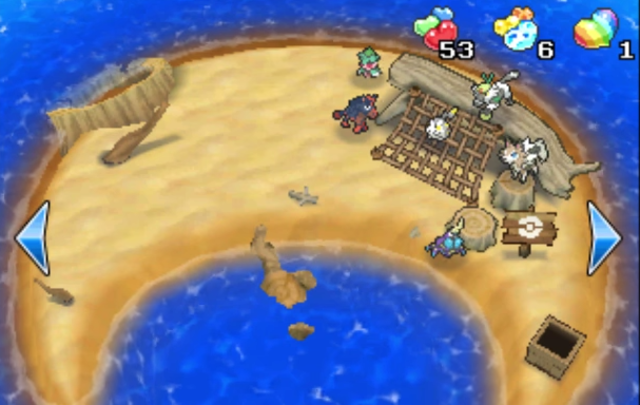 If your Pokémon is already past the level it would learn a certain move on, you can take it to Madam Memorial inside the Pokémon Center on Mount Lanakila (Ula'ula Island), to make it learn the move in exchange for a Heart Scale.